alpha is a student club I founded together with Justin Zwack in 2015. We wanted to establish and promote a game developer scene in Mittweida where we both studied Media Informatics and interactive entertainment, by giving developers a platform where they can share ideas and their work with fellow developers from the area. 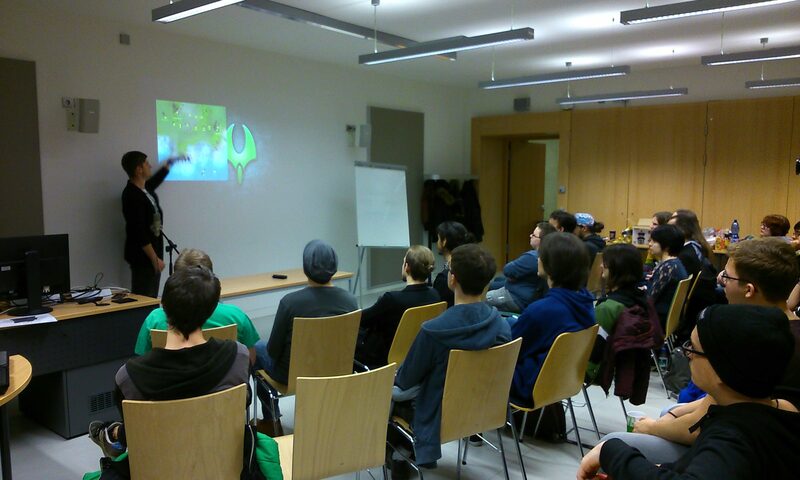 We started by organizing monthly meetups where people would give presentations about game development. These meetups became more and more popular and in the summer of 2016 we organized our first game jam. In 2017 we gave the projects into the hands of the next students. Check out our Facebook group and our website if you want to know more!